San Francisco, California – October 11, 2018. San Francisco Dental Implants is proud to announce further recognition by Yelp for 2018. The Center has garnered the prestigious right to a “People Love Us on Yelp” designation, now has 44 reviews, and shows up in the number one spot for “best dental implant in San Francisco” via a Google to Yelp search. Clearly, San Franciscans have decided that the Center is one of the best, if not the best, place in the Bay Area to secure state-of-the-art dental implants. Residents of San Francisco and the surrounding Bay Area including Marin County can read the SF Dental Implants Yelp page at https://www.yelp.com/biz/san-francisco-dental-implant-center-san-francisco. 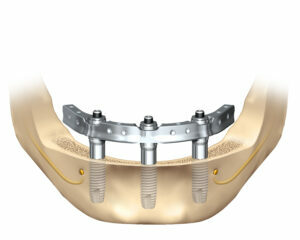 Favorable and informative posts for dental implant reviews in San Francisco can be perused. Posts can include details on caring, quick and professional dental implant surgery such as full arches and single tooth procedures. In addition, the Center has thirty one reviews on Google for dental implants at https://goo.gl/mWsTMf. Full information on dental implants can be obtained at https://www.sfdentalimplants.com/our-advantage/ and interested persons are urged to reach out to the Center for a consultation. Here is a background on this release. A San Francisco local searching for a great business may find answers from other community residents. A Yelp recommendation can be one of the best spots online to find details concerning a restaurant, clinic or service. Personal experiences and positive feedback can guide a local resident to the right fit for a problem. A list of favorable San Francisco dental implant reviews could help a local find a caring and professional oral surgeon. Finding a dental implant clinic that not only has over forty four positive reviews on Yelp but nearly as many on Google, plus is led by a best-in-class oral surgeon surely motivates such a resident to reach out for a consultation. For these reasons, San Francisco Dental Implant Center has announced Yelp recognition for favorable dental implant reviews. Bay Area residents have posted 44 positive reviews for a top dental implant clinic. State-of-the-art technology and expert oral training combined with five-star San Francisco dental implant reviews could provide answers for Bay Area residents. San Francisco Dental Implant Center, under the direction of Dr. Alex Rabinovich, focuses on the placement and restoration of dental implants, making its team among the most experienced in the Bay Area. Dr. Rabinovich is a Board Certified Oral and Maxillofacial Surgeon specializing in the field of dental implants. The new Trefoil dental implants have been added to the list of procedures the professional oral surgeon provides. This additional training, along with his years of experience, sets Alex Rabinovich MD DDS apart from the growing number of general dentists offering dental implant treatments. Dr. Rabinovich provides services for the San Francisco Bay Area, Marin County, Peninsula and surrounding North Bay Cities.